To bet with your bonus, simply turn over the amount of your deposit Thirty Times (30X) in our Isino games of your choice. You must have settled bets to the value Specified of your deposit and bonus prior to making a withdrawal. 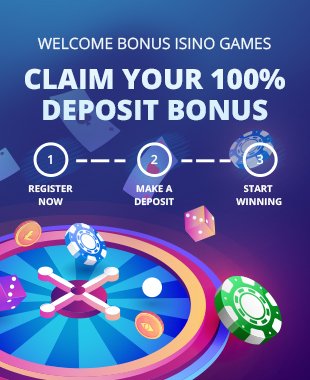 To bet with your bonus, claim your offer, then turn over the amount of your qualifying deposit (capped at $15,000JMD*) Thirty Times (30X) for Isino games (subject to conditions below). You must have settled bets to the value of Thirty Times (30X) for iSino Games of your qualifying deposit (capped at $15,000JMD*) and bonus before making a withdrawal (subject to conditions below).